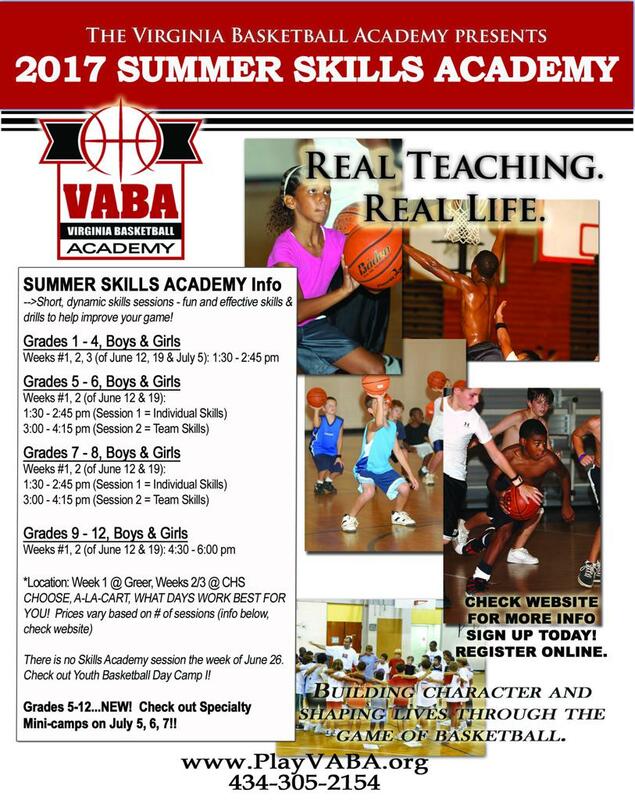 Check out VABA's 2017 Summer Skills Academies! FUN, DYNAMIC - GREAT COACHING! YOU CHOOSE YOUR DAYS AND CUSTOMIZE YOUR SCHEDULE! Click here -->for Skills Academy details!